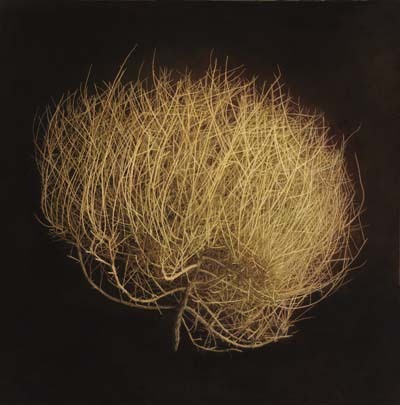 With luminous images from nine suites of photographs, this is the first career retrospective of internationally acclaimed artist Kate Breakey, encompassing works ranging from early images that bridge art and science to her mature still lifes. 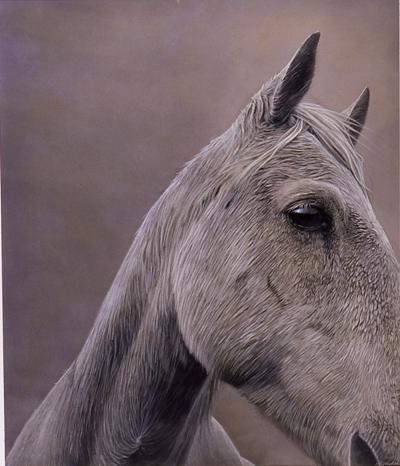 Kate Breakey is internationally recognized for large-scale, richly hand-colored photographs, including her acclaimed series of luminous portraits of birds, flowers, animals, and insects. 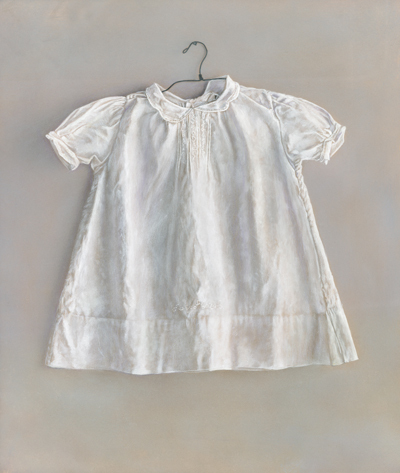 Since 1980, her work has appeared in more than seventy one-person exhibitions and more than fifty group exhibitions in the United States, United Kingdom, Australia, Japan, China, New Zealand, and France. 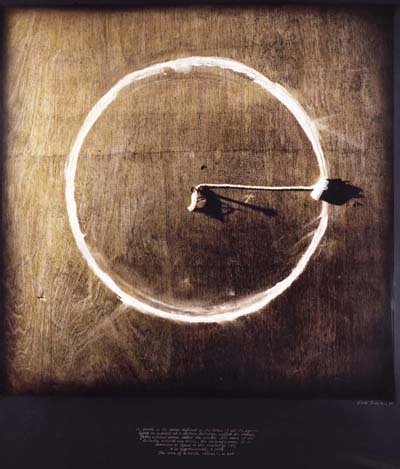 Breakey's work is held in many public collections, including the Australian National Gallery in Canberra, the Center for Creative Photography in Tucson, the Museum of Photographic Arts in San Diego, the Wittliff Collections at Texas State University in San Marcos, and the Museum of Fine Arts, Houston. 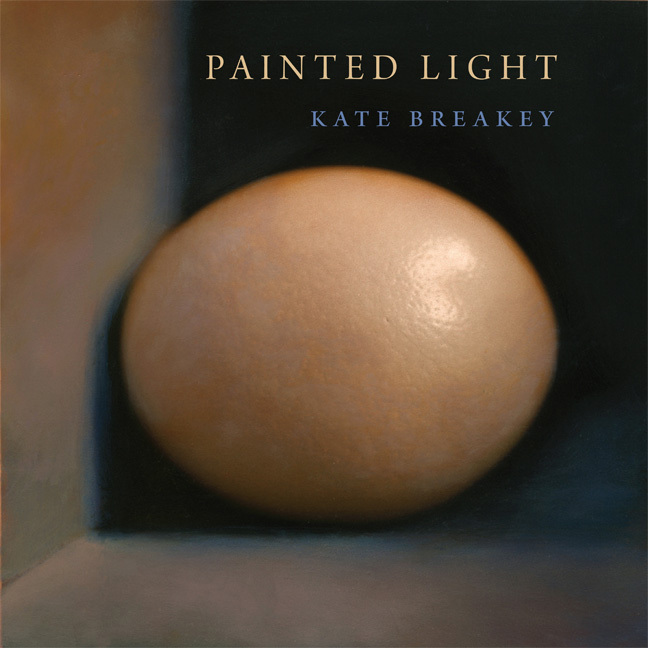 Painted Light is the first career retrospective of Breakey's work. With images from nine suites of photographs, including Laws of Physics , Principles of Mathematics , Still Life , Loose Ends , Memories and Dreams , Cactus , and Small Deaths , it encompasses a quarter century of prolific image-making and reveals the wide range of Breakey's creative explorations. In her introduction and throughout the book, Breakey offers personal accounts of "the things that matter most" to her life as an artist and traces her influences, among them her fascination with classical European painting, her close connection to the world of science, and her heartfelt love of the natural world, which began during her childhood in rural Australia. These texts give considerable insight into Breakey's beautiful images, creative process, and transformative journey "to distill observations into a visual language in which they can be contemplated"—the motive that inspires all of Breakey's work. 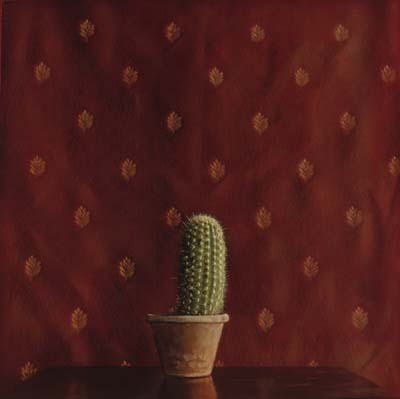 A native of South Australia who has also lived and worked in Texas, Kate Breakey now resides and photographs in the desert outside Tucson. Her work has been published in two previous books, Small Deaths: Photographs and Birds/Flowers . In 2004, she received the Photographer of the Year Award from the Houston Center for Photography. I grew up in Port Lincoln, a small country town on the coast of South Australia. After my parents separated in 1962 my mother took my younger sister, Lindy, and me back to live with our ailing grandmother in the house where she grew up. Her brother and his wife—our Uncle George and Aunty Jean—their children, and Jean's mother, Bess, all lived in the same big old stone house. Early settlers had originally built the house in the mid-1800s. My grandfather, who had a business as a tailor, bought it in 1933 and gradually added many rooms on to it. By the time we lived in the house it had expansive gardens with fruit trees and fishponds, a Japanese "shade house," a concrete Chinese pagoda, a log cabin, lots of sheds, and all sorts of rockeries and planters made of beach stones. He used rocks that had been the ballast in one of the sailing ships that had come from San Francisco to build a massive fireplace and pillars on the front verandah. He was an outspoken atheist, a free thinker, an argumentative political activist who believed in economic justice and free trade. I never knew him, but I have a photograph of him from when he was helping move wheat bags on the wharf during the mouse plague around 1917. During the Depression, when people were down on their luck, he would invite them to come and live in the house. One of my aunts remembers there were foreigners, displaced people, homeless after the First World War, who lived under trees. My grandmother would send my aunts and uncles, as children, to take them eggs and pies. They also can remember seeing the smoke from the campfires of the Aborigines (the Parnkalla people) up on Mill Hill, and remember the windjammer sailing ships coming into the harbor. There was native scrub further up the dirt road from where we lived—a place referred to as "the gully"—where previous generations of children had tied giant nautical ropes high up in the hundred-year-old eucalyptus trees. We would swing on these like Tarzan in the movies we saw in matinees at the local picture theatre. No one had TV then, so movies were what fueled our imagination. We saw Italian film classics from the sixties, epics of Greek mythology ( Hercules and Jason and the Golden Fleece ), Elvis movies, and science fiction movies. We would sit transfixed, transported to whole worlds while the barefoot kids shrieked and played up and down the aisles with no regard for the slaying of the Cyclops. My mother worked as a librarian in the public library where we would go after school. In the little back room she would mend old books and cover the dust jackets with plastic. The library was a somber place with display cases of antiquated Australian history books, but it had a whole room of children's books. Between our own pretend epic battles as cowboys and Indians, building tree houses, and the hot summers at the beach, life was very full. There was an endless series of bikes to ride, handed down each year to the appropriate-sized child, carefully done-up, repainted to be like new each Christmas. Bess patiently taught us to crochet and garden and do crossword puzzles while she listened to the cricket matches on the radio. Jean played the piano and we would sing. There were extended family excursions, picnics in the countryside to pick wild mushrooms and collect a trailer-load of wood for the winter. We watched the sheep being sheared in the wool sheds on friends' farms. We would spend weekends at "the shack" further down the coast, where there was no electricity. We played cards by hurricane lamp and poled out in a wooden dinghy at midnight, when the tide was out, to spear blue crabs. The outdoors and the sea were one vast playground. As little kids, my uncle George used to take us out into the bay where he would patiently bait hooks and untangle fishing line and let us steer the outboard motor. He would also "tong for oysters." He had this device called a "glass"—an open wooden box with window glass on one side that floated on the sea's surface. This allowed you to see the oysters on the bottom and harvest them with the long wooden rope-operated tongs. I remember being mesmerized by the view through the glass. It was as if you were looking through a window into another world where underwater forests of swaying weeds were home to fish and crabs, creatures I'd never seen in their natural state. It was green and beautiful and enticingly peaceful down there under the water. I will always associate the taste of raw oysters with my memories of the magic viewing glass. Further around the Peninsula was a magnificent rugged coastline with iridescent turquoise ocean and pristine white beaches, famous among surfers. We would go down there to watch for whales or to camp. I remember standing on the cliff top, covered in salt spray, and realizing there was nothing between me and the Antarctic except 4,000 miles of raging Southern Ocean. Looking out into that incomprehensible endless nothingness was like looking into my own animal soul; it put things in perspective. I became acutely aware that I was a tiny vulnerable creature, something I knew but had not felt so profoundly before. I had an overwhelming sensation that my heart would burst with this knowledge, this terrible truth that caused me crushing pain and absolute loneliness, but also something else: an almost delirious joy in the absurdity of it. I suspect everyone has this revelation at some point in their life, but I must have sort of embraced the irony since later I chose to memorialize all tiny, fragile, insignificant creatures. The ocean teaches you a lot of things, and not just about fish, seabirds, and tides. It can be clear, gentle, and sparkling one minute and gray and raging the next. When you are arrogant enough to predict the strength of waves, or the force of an undertow, when once or twice you nearly drown, you get a quick lesson in life and death. During those terrible moments, choking and gasping for air, you comprehend that life is precarious and very precious. When you don't die, you are, for a while, so very grateful. It's hard to stay that grateful, but I've tried not to lose sight of the inconceivable privilege it is to be alive. Sometimes I think what I do as an artist is to "take notes" and pay attention along the way, out of a certain kind of gratitude for my life. Growing up, we also had a reasonable fear of Great White sharks. These poor creatures were hunted for sport and slaughtered and hung up by their tails from the "shark pole" at the end of the jetty so everyone could shudder and marvel over the terrible rows of teeth and retell the many legendary stories of local shark attacks. This town was an international port with a wharf where huge foreign freight ships came from all over the world—Communist China, Russia, the Middle East—to load up with grain and sheep and wool. We would go down to watch these rusted metal monsters be towed in and hope to catch a glimpse of the mysterious foreign crews. There was also a thriving fishing industry with commercial fleets of boats for tuna, prawns, and salmon fishing. There were processing factories where my cousin and I worked as teenagers during school holidays. At sixteen we made enough money for a train ticket to get to Sydney. I am lucky to have had people in my life that somehow quietly imparted the idea that anything was possible. In the early seventies my working single mother took woodwork classes at night and learned to make furniture. She had a sewing machine and we bought patterns and fabric and she taught us to make whatever clothes we wanted. She also finished high school courses so she could start a university degree. Later she designed the house she lives in. She taught us by example to be capable, self-sufficient, and inventive. My Uncle Reg and Aunty June fitted out an old van and traveled all over Central Australia—before there were roads, just dirt tracks—taking photographs and shooting Super-8 movies. In their youth they raced motorbikes and melted down saucepans to cast the mechanical parts they needed. When I knew them, they bred roses and grew orchids in greenhouses they'd built. They rescued animals and rented the documentary movies I saw as a child. In their old age they built giant kites to fly for the sheer pleasure of it. They built bigger and bigger kites until they had to build a winch to wind them in. They taught me that life could be one long adventure. After they retired Aunty Jean and Uncle George ran for the Senate as independents. My grandfather would be pleased to know that my whole family remains politically active and outspoken, that several generations were inspired to be involved and to care. My sister, Lindy, has worked with the aboriginal community in South Australia most of her life. Many of my teachers in high school were young, fresh out of college, because at that time there was a government scheme whereby you got free tuition if you committed to two years teaching in a country town. It was hard to get teachers to these towns otherwise. At first they were horrified to be there but many of them ended up settling down and staying their whole lives. They were refreshingly modern, broad-minded, and casual. My English teacher played us Simon and Garfunkel on his guitar during class—much more fun than conjugating verbs. When he taught Latin, we did plays, murdering Caesar in togas. One of these people, my art teacher, was the first openly gay man I knew. He was immediately in trouble with the headmaster because he wouldn't wear a tie—and also because he threw outrageous parties that he invited students to, and he let us call him by his first name. He told us about the Andy Warhol film festivals he'd been to in the city and he was always doing large paintings in the art room office. I remember a beautiful sort of pre-Raphaelite self-portrait, in which he was naked and crucified. He let a few of us who were his avid followers help paint the background clouds during lunchtimes. At fifteen, I was in love with him and all that he represented. Recognizing that I had talent he suggested I go to art school. When it came time, the school's bursar informed me that they didn't have application forms for the South Australian School of Art, since no one had ever asked for one before, so it wouldn't be possible for me to apply. I was handed an application form for Nurses Training College instead. I remember my mother went down to the school (we didn't have a phone) and said, "My daughter wants to go to art school—please get her the application form." They did, and I applied and was accepted and in 1975 I moved to the city. I met Paul Krieg two years later. We were both students. He was from an even smaller country town and had moved to the city to go to university four years ahead of me. In 1982 he left Australia for a postdoctoral position at Harvard and two years later I joined him in Boston. We often laugh over childhood memories of growing up in remote places. We've both had fortunate, unpredictable lives and people who helped set us on a path long ago. As my good friend Bill Wittliff says, "La vida brinca." Life jumps.